(Continued from previous post)...Even bending the knees and stepping out to the side is not as simple as it seems. As you bend your knees, you can see if the movement disrupts the preparations you have just made. If it does, return to your starting position, readjust, then don't think of bending the knees, think of sinking. Continue to listen to your body as you sink to make sure that your alignment stays true and your knees do not push out past your toes. When you finish sinking, shift your weight to one foot (typically the right foot) and stay aware of your root and alignment. If you feel unstable, shift the weight back to both feet and try this shift as many times as is necessary to feel that your root and alignment are maintaining your balance as you shift. Then, eventually, take it to another level. When you shift to one foot, do you simply feel balanced, or do you feel that if someone pushed against you they would have a difficult time pushing you over? Focus on sinking into your root so much with this shift, that even though you have put all of your weight on one leg, you feel solid enough on that leg, that when you imagine someone pushing against you, you feel confident that you would remain solid. As you maintain the root in one leg, pick up the other foot (usually the left foot) and slowly....sloooooooowwwwwwly move it out to its new position. This is not a simple step out, although it bears a striking resemblance to one. This step prepares you for how you will be moving through the whole form. Which is, to always maintain a solid root in one leg while stepping with the other. No weight shifts and no root shifts until the foot in motion has touched the ground. Then, and only then, can you begin to shift your root and your weight to that foot. The same amount of care should be placed in closing the form. When you go through "Close Taiji" as you are lowering your hands and straightening your legs you should begin to do an inventory. Is your alignment still correct? Is your root still strong? Is your mind still focused? Is your weight still sunk into your base? These should all be maintained throughout practice and if you find that this check point reveals any missing components, it allows you to recognize what was lost during your training. Sometimes, while one practices, she/he will begin to focus so much on one thing, relaxing for example, that he/she will forget to maintain another thing, good structure for instance. As I mentioned in a previous tip, it is a good idea to pick one thing to focus on, then add other points of focus as it becomes easier to do so. The really important part is to make sure that you begin the form and end the form with the same number of Tai Chi principles intact. In other words, if you begin the form focusing only on alignment, when you do your mental inventory at the beginning of the "Close Taiji" movement, you should find that you are still maintaining good alignment. Likewise, if you begin with good alignment, relaxation, and rooting, you should still have each of these principles in your inventory at the end of the form. This mental checklist helps you locate weak points in your form training. That way, the next time you practice, you can keep an eye out for what exactly caused you to lose one of your key Tai Chi components. When you have finished checking yourself for any lost Tai Chi fundamentals, and are ready to bring your feet back together, go through the same rooting and alignment practice that you did at the beginning of the form. If you find that you can finish strong with the same strength of root, the same alignment and balance, then it shows a proficiency and fitness in those skills, which allows you to carry them through the whole form and finish without them being diminished. But if you find that you feel fatigued, your root does not feel as strong, your alignment feels shaky, and your balance is unsure, it indicates that your body and mind are still not used to the form and are still developing their Tai Chi fitness. It is not a bad thing, it is just an indicator that there is work to be done and it gives you a way to measure your progress. As time passes, and as you continue to train consistently, you will gradually see improvement at this stage of the form. After your feet are together and you begin to straighten your legs and return to your starting position, allow yourself to release your practice time and return to the "real world." Allow as much of that practice session to stay with you throughout the rest of the day as feels natural, but do not try to force any of the feelings to stay with you. Gradually, more and more will stay with you, but let it happen naturally. Don't forget the lessons that you learned during your training, but also do not obsess over them. Both of these sequences at the beginning and end of the form, though they may seem very simple, are actually very involved (as you can see) and they are crucial for preparing you to practice your form correctly, allowing you to gauge your ability to carry Tai Chi principles through the whole form, and allowing you to truly close the form. These are where you change from "every day mode" into "Tai Chi mode" and back again. You will find that the more you practice, the easier this transition will be. Eventually, you will start to realize that there is less of a transition because the Tai Chi principles that you practice in the form are becoming a part of how you function in everyday life, but it all begins with slowing down and taking a moment to appreciate these seemingly insignificant little portions of your daily practice. P.S. With the holidays upon us, large meals, and often unhealthy meals, become far more common than usual. As you prepare to eat meals with increased fats, proteins and portion sizes...do something nice for your digestion by ordering Synergy Defense on my online health store. Find out all about it by clicking here. When you go through a Tai Chi form how much time do you spend on starting the form and finishing the form? That may seem like a strange question, but very often the importance of preparing for the form followed by the "Begin Taiji" movements, and the "Close Taiji" movements followed by the closure of the form are ignored. Students who are new to Tai Chi tend to rush through the portions of the form to get to the "good stuff." I remember when I was first learning Tai Chi, the beginning and end of the form were not important to me. Those movements just seemed like fancy ways to start and finish the practical-training portion of the form. Fortunately, I was taught the importance of these segments and grew to appreciate them. It is my hope that by the end of this tip, you will value these small portions of your training time as well. If I were to ask you, "How do you start your Tai Chi form?" and you were to respond with, "I start with my feet together, I check my alignment, then I bend my knees slightly, and step out with one foot to the side." then you would have answered correctly (for most forms). However, there is an entire world of training that exists in the movements that you just described and, believe it or not, you could spend several minutes on just this portion of the form. If you find that hard to believe, read on for a sample of the depth of these seemingly insignificant moves. As soon as you decide to practice Tai Chi you have automatically begun to prepare your mind and body to practice (to some extent) simply by developing the intent to practice, but that is certainly not where the preparation ends. When you bring your feet together and check your alignment, before you do any other movements, take a moment. Pause. Feel. Listen. Become aware of your environment. Become aware of your body. Every sensation. Are your shoulders tight? Is your lower back bothering you? Do you feel more relaxed than usual? Are you feeling distracted? It doesn't matter what you are feeling at this point and you should never feel disappointed by any of those sensations that would be considered undesirable for practicing Tai Chi. At this point, you are simply becoming aware. Once you have become aware, it is time to actually prepare yourself for your Tai Chi practice. This is where you take care of the things that might effect your training. Begin with deep abdominal breathing to help quiet the mind, then take your attention to one problem area, the tense shoulders for example. With your attention on the shoulders, inhale deeply and as you exhale imagine the tension releasing from the shoulders with that breathe, and repeat until your shoulders no longer feel tense. If your lower back is tense, focus on relaxing those muscles and adjust your hips and overall stance to one that helps the lower back relax (this should have been taken care of when you checked your alignment, but sometimes you won't notice subtle misalignments that are causing issues, like a tense lower back, until you take a moment to listen for them.) If your mind does not want to stay focused, imagine that you can see the air that you are inhaling travel in through your nose, all the way down to your lower belly. Then watch it travel up from your lower belly and back out your nose as you exhale. Continue to watch this breath-trek until it absorbs your attention the way watching a tv show would. This will help quiet the mind and allow you to focus, which is necessary for directing your intent into your form practice. As you relax, you should feel that it becomes more easy for your body's energy to flow freely, to exchange with the energy of your environment, and to fill you up so that it can support the structure of your movements. Next, sink. Imagine that your body weight is sinking down into your lower belly, down into your legs and feet, and see yourself growing roots into the ground. While this is happening the upper body will feel as though it is becoming lighter. Think of yourself as a tree with big heavy roots anchoring you to the ground and supporting light flexible branches that are reaching up to the sky. Become increasingly aware of your lower belly (more specifically the Dan Tian) and feel the connection between it and every other part of the body. Understand that it is the director (like a steering wheel) for all of your movements and take time to mentally establish it in that role in your body. Again, take a moment, allow all of these mental and physical adjustments to feel natural. Do not worry about moving, don't think about the form, don't be in a hurry. When you feel comfortable, you are ready to bend the knees and step out........(to be continued). P.S. 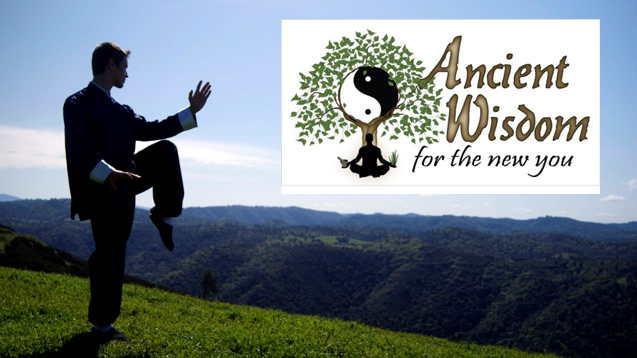 Tai Chi movements place heavy emphasis on expressing the balance between Yin and Yang for martial purposes and it is believed that maintaining this balance within the body is necessary for maintaining one's health as well. 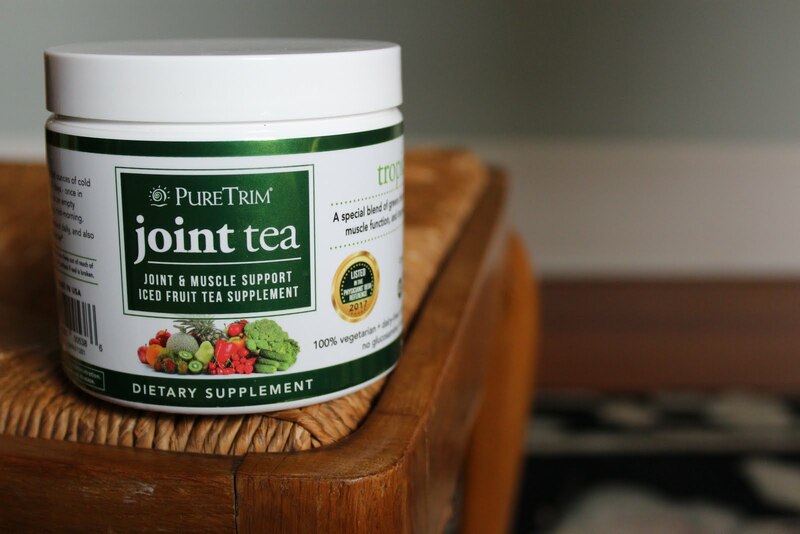 I invite you to try a Mediterranean herbal blend that is formulated to promote balance within the body. Click here to learn more. If you have ever attended a Tai Chi class, watched an instruction video about Tai Chi, read about Tai Chi, or even heard someone talk about Tai Chi, you have, no doubt, discovered that the concept of relaxation is closely related to the art of Tai Chi. However, the concept of relaxation in Tai Chi is much different from the image that appears in most peoples' mind when they hear someone say, "Relax." To many people, relaxation means lying on the sofa reading a book, watching a movie, taking a nap, or doing some other minimal effort activity. So when a new student is in a Tai Chi class and they are told to relax, while holding some posture that looks like it is straight out of an old Kung Fu movie, there tends to be some confusion. How can one relax, while standing on one leg? This confusion has the potential to lead beginners to think that moving the body and holding the postures like a limp noodle is how one must practice Tai Chi if one wishes to maintain relaxation while performing each movement. However, in Tai Chi, when one is instructed to relax it simply mean to let go of any excess tension, not to let go of all tension. Our bodies are, after all, a complex system of levers that depend on muscular tension to produce movement. So it is impossible to move without some muscular tension, but the trick in Tai Chi is to seek the most efficient movement that does not depend on unnecessary tension. Here is a quick exercise that over-simplifies this concept, but it will help illustrate the difference. Bring your hands up in front of you like you're a boxer protecting your head, tense up you arms and clench your fists as much as you can. Now, while maintaining as much of that tension as possible, push one of your fists out in front of you, like your punching something, then bring it back to its starting position. Did you feel how difficult that was with all that excess tension fighting against your movement? Now, maintain the same posture, but relax the arms and fists. They shouldn't go limp, they should simply release any tension that is not necessary for keeping them in place. Now push the same hand out, just like you did before, only without the excess tension this time, and bring it back. Way easier, right? notice how much less energy you spent the second time to perform the same movement? Do you see how much more efficient it was? Again, this is over simplifying the concept of relaxation in Tai Chi, but it gives you a good idea of the difference between going through a movement inefficiently versus doing it without wasted energy. However, the relaxed version is very different from going loosey-goosey and letting your arms flop out and hang like wilting branches from your body. Good structure was maintained, as it should be in your Tai Chi practice. If you are having trouble relaxing while practicing or if you find that you are relaxing so much that your arms and body feel limp while you practice, try the following exercise. Pick your favorite posture from the form that you practice, "Parting the Horse's Mane" for example, and move into this posture like you would in the form. Then just stay there, don't move to any other postures, just hold that posture. Try to hold it for five minutes. While you're holding the posture imagine that your body and limbs are like fire hoses through which something is flowing (light, energy, or whatever you choose to imagine). Just like the water moving through a fire hose supports the hose from the inside, let the energy flowing through you support your posture (but don't try to control where the energy goes, just let it flow naturally). Relax your muscles as much as you can without losing the posture and focus on the feeling of being supported from the inside. Listen to your body as well. If something becomes uncomfortable (like your shoulders for example) it's often a sign that there is tension hiding there and you should focus on relaxing those muscles and letting the arms be supported from within. Obviously, the muscles are still holding the arms up, but you'll be surprised by how this simple mental exercise will improve the energy flow and power of your Tai Chi movements, while allowing you to move efficiently, without excess tension......and don't forget to balance your practice, by doing it on both sides. P.S. We all know the importance of having a healthy liver (it is responsible for approximately 500 necessary functions in the body), but few of us do many things to really care for our livers. To show your liver some gratitude for all the hard work it does, try the Liver Master liver cleanse on my online health store Andrew.PureTrim.com today. Here is our latest upload. It is video 14 in a series of 26 videos that offer instruction for all of the movements of the Yang Tai Chi 13 Saber Form. We hope you all find it useful in your training! A common question many people ask when they are first learning Tai Chi is, "what should I be focusing on when I go through the form?" There are many different things that one can potentially focus on while preforming any Tai Chi movement, or set of movements, and beginners have a tendency to get excited about their training and read as much as they can about it from many different sources. That is understandable because Tai Chi is very exciting, and it is always good to gather information from multiple sources. However, this practice often leads beginners to more confusion than clarity. They may read one source that says they should focus on their breathing, then read another source that says they should focus on moving from their Dan Tian, while yet another source says to focus on connecting all of the body in each movement. Which of these ideas is the correct one? Should all of this advice be followed at once and, if so, how can anyone possibly focus on that many things at once and keep it all straight? The truth is, each of these example sources is correct, and all of these things (and more) should be done during practice, but they should be built on top of each other, rather than all thrown in together at the same time. When a beginner asks me what they should be focusing on during practice, I tell them to focus on structure and sequence first. In other words, one should first make sure that the mechanics of the movement are correct (knee alignment, torso alignment, hand position, etc. ), then they should make sure that they are doing these movements in the right order for the Tai Chi form they are learning. Once those things have become second nature, then the student can pick one more thing to focus on, say, keeping the movements smooth and continuous, and after that becomes second nature, they can move on to one more thing. If you are a beginner, don't worry so much about all the things you can potentially be focusing on during your practice. Simplify. Focus on the mechanics of the moves first. It will give you one specific thing to pay attention to and remove the overwhelming feeling of needing to focus on fifty things at once. When you no longer have to focus on that thing, pick a new thing to focus on. Eventually, you will be doing and focusing on all of the things you have read about and it will feel peaceful and rejuvenating, rather than stressful and daunting. P.S. Please take a moment to check out my online health store and maybe try a product or two by clicking here. To see all of the videos posted in this series, so far, click here.